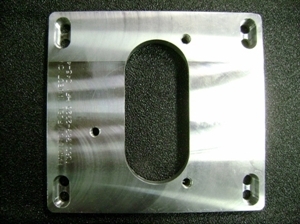 This exclusive CnC machined design allows either the small block Chevy (1 11/16" bore) or the BBC/454 (2") throttle body to be mounted on a 4 barrel manifold with either a square bore(Holley) or spread bore(Rochester/Quadrajet) pattern. 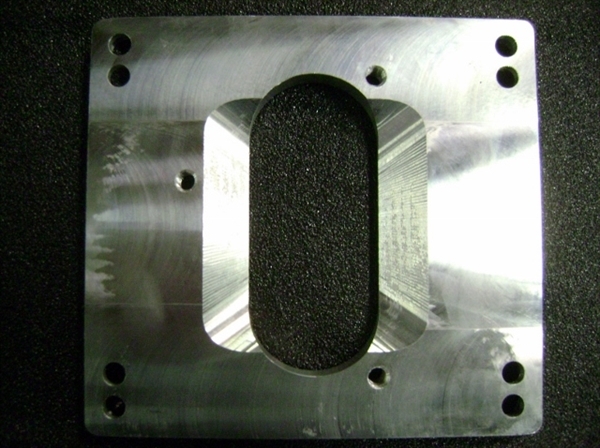 The proprietary design allows the TBI to be located in the center of the mounting flange while providing equal distribution of flow to all 4 manifold bores. The manifold adapter bore needs to match the throttle body bore selected or vacuum leaks are likely.